Welcome to the Clearwater Consulting Resource Center where we provide free reference materials on topics related to developing your people into extraordinary leaders and high-functioning teams while improving your company's organizational effectiveness and financial results. Help yourself to any of the downloadable and printable guides and eBooks and feel free to take any of the assessments available. We invite and encourage you to revisit again because we are always updating with helpful new resources. And if you find what you see interesting, please subscribe to our Clear Views blog for more. 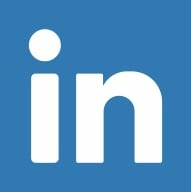 Contact Clearwater Consulting Group today at 404-634-4332 to discuss any of the resources offered on this page. We believe that guiding positive change in your organization is as much about the journey as the outcome. 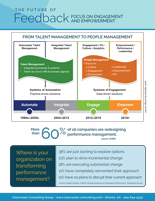 Where is your organization at in terms of transforming performance management? 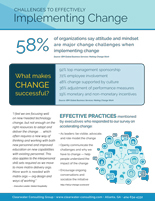 58% of organizations say attitude and mindset are major change challenges when implementing change. 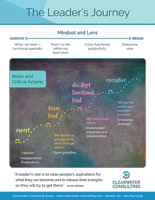 Change is rapid, accelerating and constant – and CEO’s want HR co-leading the effort. 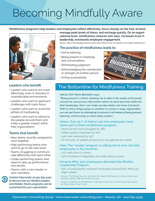 Mindfulness programs help leaders and employees reflect effectively, focus sharply on the task at hand, manage peak levels of stress, and recharge quickly. 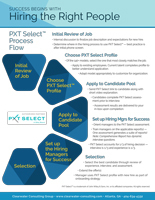 Your organization's success depends on hiring the right people. Did you know the cost to bring on a new employee can range as high as 150% of that person’s salary. 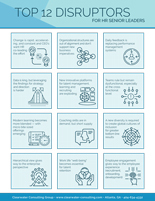 See how four types of learning engagements can be applied to Formal Learning, Learning from Others and On the Job Experience. 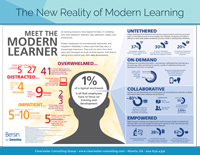 As training moves to more digital formats, it's colliding with new realities in learners' jobs, behaviors, habits and preferences. 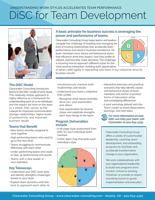 A basic principle for business success is leveraging the power and performance of teams. Flexibility in where and how employees learn is increasingly important, especially as they become more overwhelmed, distracted, and impatient. Did you know that only 29% of employees know whether their performance is where it should be? 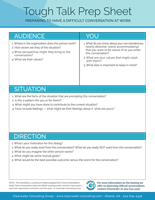 A worksheet to help you prepare for a difficult conversation. 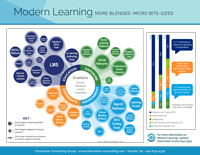 The formats, philosophies, users, and systems in adult learning theory and practice have evolved as continuous and digital learning lead into the future. 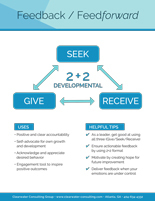 The structure of Feedback/Feedforward serves as a framework for creative dialog around expectations and possibilities. 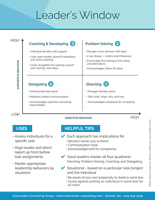 Simple steps for assessing ability and motivation to determine the appropriate leadership style.